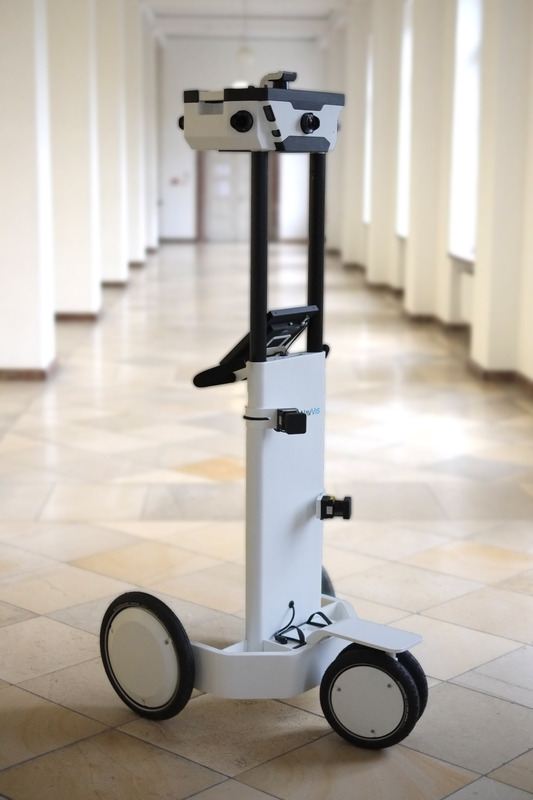 NavVis GmbH develops innovative products and applications for mapping and navigation with centimeter accuracy in indoor spaces. Its innovations make it extremely simple to navigate even complex facilities such as factory and exhibition halls, airports, railway stations, shopping malls and museums, for example. The trolley, for which patent protection is pending, uses laser scanners to map the environment quickly and accurately. At the same time, cameras create a tightly meshed network of high-resolution, 360-degree photographs of the entire indoor space. A browser-based IndoorViewer allows the trolley to look around the building, find its way, interact with any number of defined points of interest (e.g. video or audio files) and deliver accurate point-to-point measurements. The next NavVis generation will also facilitate “turn-by-turn” indoor navigation by smartphone. Similar to human orientation, this kind of visual positioning requires no additional infrastructure in the building (such as WLAN hotspots, RFID or Bluetooth). 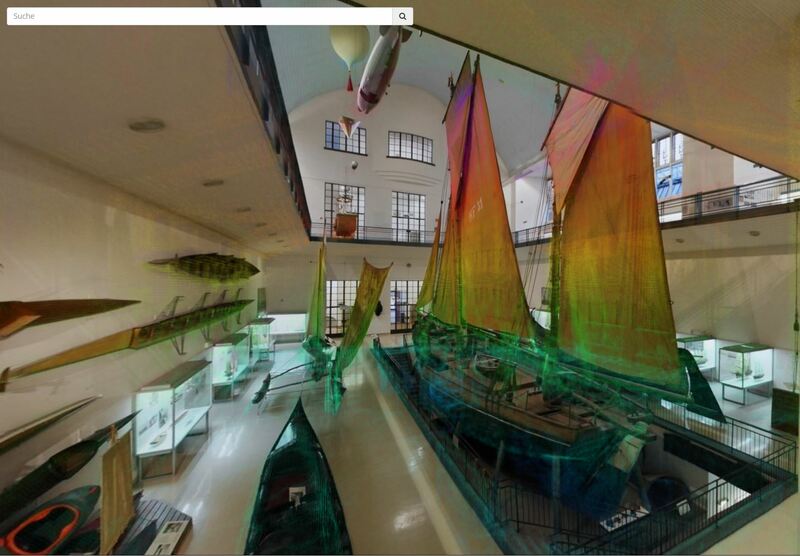 At Munich’s “Museum Open Night” in October 2014, NavVis presented a unique digital project in collaboration with Deutsches Museum: For the first time, the impressive and expansive “Shipping travel” department was fully digitized and reproduced in 3D. Since then, visitors from around the globe have been able to explore the exhibition online. Written and audiovisual information combines to transform this photorealistic 3D environment into an exciting interactive experience. In November 2014, the young high-tech company successfully completed a Series A financing round. Two respected Munich-based venture capital funds – BayBG Bayerische Beteiligungsgesellschaft mbH and MIG Fonds – have now invested in the Startup and are helping it to tap a “global market worth billions”, as NavVis chief executive Dr. Felix Reinshagen describes the opportunities that await his new technology. At the famous SXSW Conference in Austin in 2015, NavVis was part of a delegation of selected German Startups and seized the chance to showcase its innovative technology to a wide audience.